Just seven hours’ flying time from London, Dubai has it all for a long weekend — world-class hotels and restaurants, sun-kissed beaches, romantic desert landscapes and a traditional-meets-futuristic vibe that allows visitors to pack in a lot in a short space of time. Dubai has a knack for getting the right hotel built in the right location. And if the right location doesn’t exist… well, they’ll create it. Such is the case with the hotel at the Bulgari Dubai Resort, the 101-room jewel in the crown on the new seahorse-shaped Jumeirah Bay Island. Opened in December, it has already set a new benchmark for luxury, although its guestrooms and public spaces purr rather than scream opulence with creamy hues, cashmere throws and B&B Italia furnishings, as well as objets d’art from the brand’s archives. A private beach, yacht club and marina underline the Bulgari as a new lifestyle haven. Every few months, it seems that a vibrant neighbourhood crops up in Dubai without anyone really noticing — until it can’t be ignored. This was the case with City Walk, a bustling urban development on the land vacated by the old Jumeirah prison, minutes from Downtown. La Ville is City Walk’s first hotel (and licenced venue) and is the ideal urban retreat from the shops, restaurants and street entertainment just outside its doors. And since opening in mid-2017, the elegant Five Palm Jumeirah has put its name on Dubai’s “go-to” map. 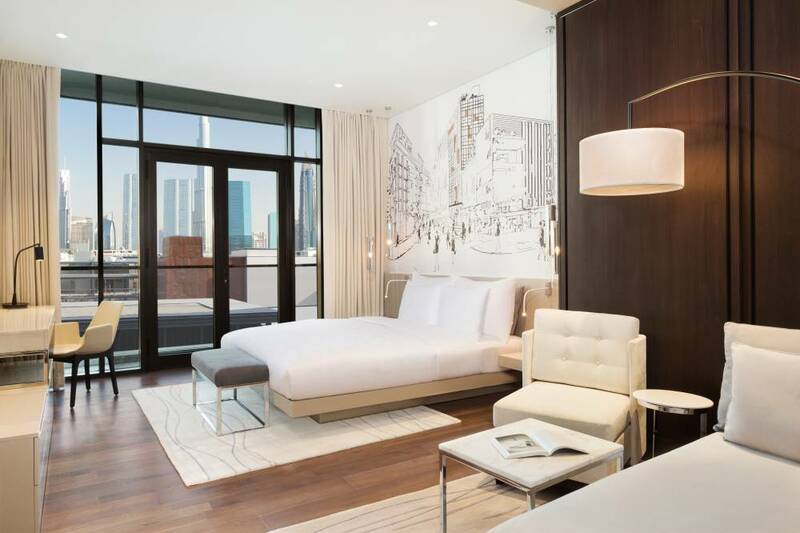 Think Miami cool with abundant glass and natural materials in its chic guestrooms, and a heavenly spa with outdoor treatment spaces. At Bouchon Bakery, in the buzzing Jumeirah Beach Residence, seven Michelin-starred chef Thomas Keller has elevated the first meal of the day to a true art form. Inspired by French boulangeries, Bouchon still manages to inject a bit of Dubai glamour into its swish interiors. Pair Keller’s delectable pastries with custom-blended coffee. 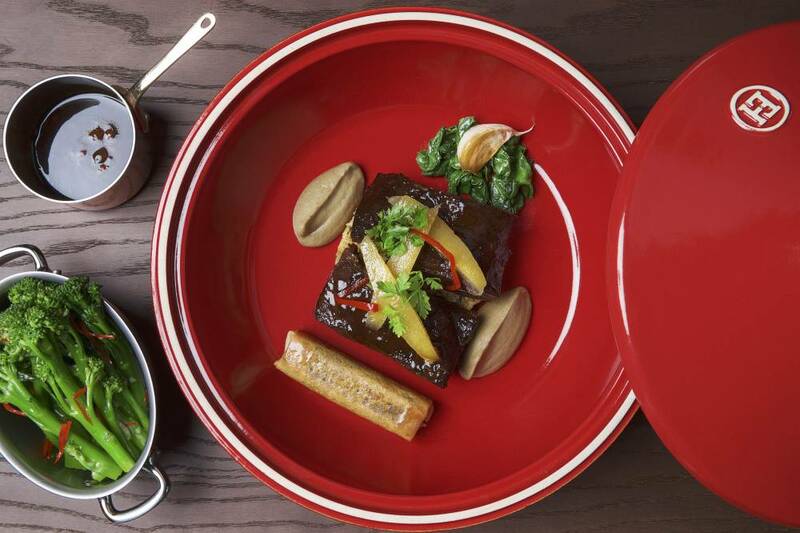 The hottest new dinner table in town belongs to chef brothers Chris and Jeff Galvin. Galvin Dubai enjoys a prime position in the buzzing City Walk, so diners can take in the view from the terrace or the open kitchen, where the Anglo-Mediterranean menu — its creamy oysters and melt-in-the mouth sea bass are stand-outs — has been expertly created by Executive Chef Luigi Vespero and his talented team. Also make time for La Ville’s Graze Gastro Grill, a cool, vibrant eatery committed to locally sourced and organic ingredients. Then head to the hotel’s Lookup rooftop bar for cocktails with a view. If, during your long weekend, you’re not lucky enough to get a ticket for a show at the Dubai Opera arts centre, you can still enjoy views from the top of the building — and some top-notch fare — at Sean Connolly at Dubai Opera, a restaurant that burst on to the scene late last summer and immediately garnered a staunch following from Emirati gourmands. Visit for its famed Friday brunch or dinner on the airy terrace. The Five Palm Jumeirah’s Quattro Passi, which replicates its famed Italian sister in Campania, is also a must for dinner. There’s no end of fabulous places to enjoy a tipple or two in Dubai, but for a completely laid-back sundowner experience, head for Breeze Beach Grill at Club Vista Mare on Palm Jumeirah. Feel the sand in your toes, sip on an Aperol Spritz and slowly watch the sun sink beyond the horizon. Those wary of heights may want to give 40 Kong a miss, but there’s no better place to enjoy the city lights than from the 40th floor of the H Dubai, relaxing with fabulous cocktails, Asian snacks and this award-winning venue’s chill-out tunes. 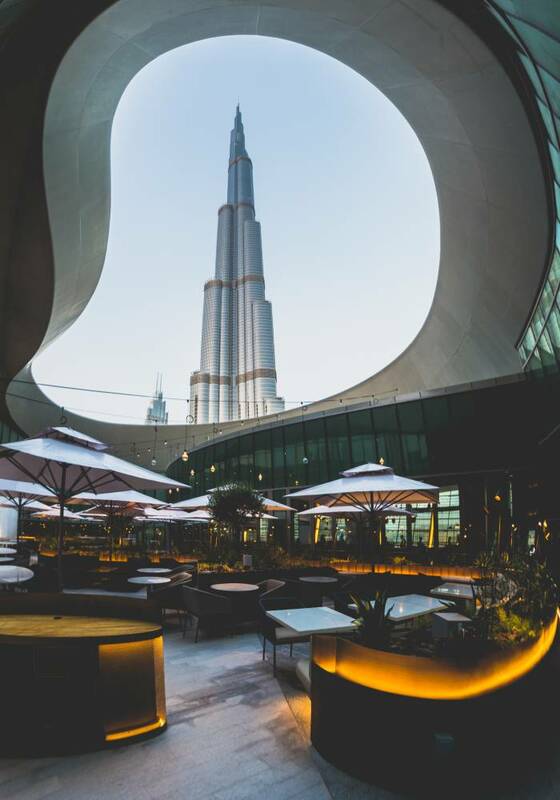 Early evening drinks at the Luna Sky Bar at the Four Seasons DIFC will see you rubbing shoulders with the city’s top financial movers and shakers. Book a table (or it’s standing room only) and enjoy the buzz in lush settings surrounded by impressive architecture. 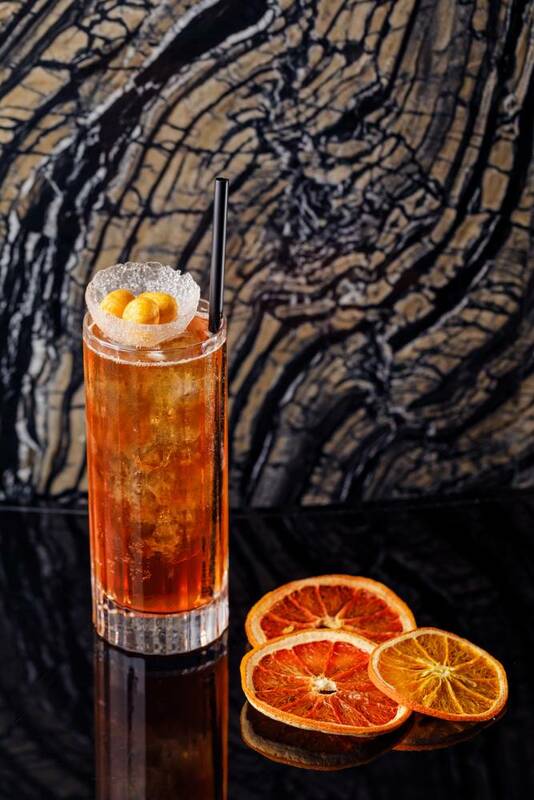 Lastly, stop by the sumptuous Raffles Dubai for a Straub Fizz, a cocktail marking the hotel’s 10th anniversary. Made with premium champagne, gold leaf and Sipsmith Raffles 1915 gin, it’s named in honour of the first guest to stay at the establishment a decade ago. Opened at the start of 2018, The Dubai Frame rises 150 metres from Zabeel Park. Resembling a picture frame, it literally frames the two faces of Dubai — with the creek and wind towers of old Dubai visible from one side of the glass-floored viewing platform and the more familiar glittering towers of the growing metropolis stretching into the distance from the other. Historical and futuristic exhibitions are thrown in for good measure. 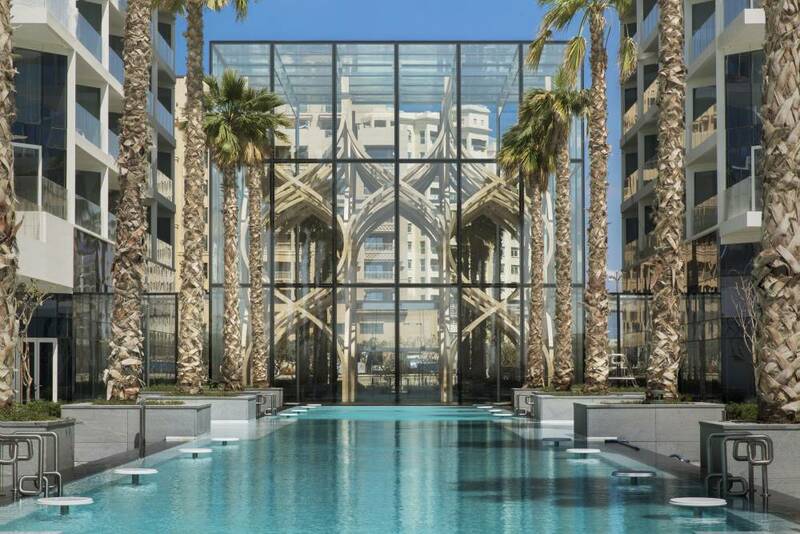 La Mer is Dubai’s newest and Instagrammable beach community. Featuring changing rooms and showers designed as retro beach huts, rustic seashore hammocks just asking to be occupied, and shops, restaurants and activities opening daily, it’s a no-brainer for whiling away lazy afternoons and languid evenings. For more adrenalin-fuelled pursuits, head to the recently opened XDubai in Dubai Marina. The world’s longest urban zipline hurtles passengers on a hair-raising 3.3km ride, swooping between some of the Marina’s most iconic landmarks at bird’s-eye level. Dubai’s Crown Prince was among the first to try it and gave it his royal approval.